Have a question for Paras Beach Resort? "The ambiance is very nice, friendly staff, great place to chill and take time to relax away from the city." "Best views from the hotel open areas." "Had a grand experience in Oaras Beach with accommodating sta..."
Situated in Mambajao (Camiguin), Paras Beach Resort is the perfect place to experience Camiguin and its surroundings. From here, guests can enjoy easy access to all that the lively city has to offer. With its convenient location, the hotel offers easy access to the city's must-see destinations. Paras Beach Resort offers impeccable service and all the essential amenities to invigorate travelers. The hotel provides Wi-Fi in public areas, room service, airport transfer, restaurant, tours to ensure our guests the greatest comfort. All guest accommodations feature thoughtful amenities to ensure an unparalleled sense of comfort. The hotel offers fantastic facilities, including outdoor pool, garden, water sports (motorized), water sports (non-motorized), to help you unwind after an action-packed day in the city. Discover an engaging blend of professional service and a wide array of features at Paras Beach Resort. "We had a lovely time at the resort." Relaxing place and a good location to start touring the island. Best views from the hotel open areas. Fun pool for the kids. The family room is OK, but a little bit crowded, and the upper room is crowded and too hot, as the air-co is relevant only to the lower room. Best place to stay in camiguin. The pumpboats that brought us to white island was just within the compound and we were able to go before sunrise! Staff was accommodating. One setback though, but a minor one. We stayed in the room with a loft and though the main room had AC, the coolness could hardly reach the loft and the efan didn’t help. But the place was very clean. Will stay there again if and when i go back. We stayed in a family loft room. Spacious and clean. The only problem is the aircon cannot reach the loft area. They provided an electricfan but its not that helpful knowing how hot the weather is. Other than that, the place is perfect! Excellent staff and the hotel is near the white beach. The stay was superb. We got stranded on the day of our check-out, and we easily got a room to extend the stay and wait out the typhoon. When the AC in our original room was not working, we were immediately moved to an equally outstanding room. The only thing that needs improvement, to my mind, is providing all the guest rooms with free-wifi. Currently, wifi is limited only to the lobby area. Location which is only 7 minutes to the White Island, the best place in Camiguin Island. And friendly type hotel. It was a real good time experience staying at Paras Beach Resort. The place is comfortable and the gardens are maintained. The swimming pool is constantly cleaned. The only thing is it's expensive like the food in the restaurant, while there are other village type carenderias where prices are so cheap. perfect hotel for us. its near the small island. perfect for island hopping, the pool is beautiful and clean, the set up of the pool is perfect for us too and like infinity pool(happyness. all staffs are friendly and accommodating,. we love the food, its yummy, the hotel is near the tourist spot in camiguin, like the hot spring, cold spring, churches etc. we will back to the hotel with my others friends. I like the location,they have great food and staff are friend..
Me and my family had a great time in paras,with great food and friendly staff.I got disappointed with the family loft that I booked coz it's very small and the upper room was too hot no ac they gave us fan but it doesn't help.I hope they will put ac. The staff were very polite and the location close to White Island was perfect. The food in the restaurant was great, just be prepared to wait. We waited for over an hour on a Saturday night for our meals, but they still tasted great! The pool is refreshing and clean as were the rooms. We walked the area at night and felt comfortable even after dark when walking to the nearby plaza. Would I return..YES! Great value, great food, great location. They have transportation service which makes it convenient for guest. But a bit expensive. Hotel Food needs improvement. Towels are not so clean. Staff are friendly and accommodating. They assisted us with all our requests and questions. Walkways to rooms are a bit dark. Room not that clean. We enjoyed our stay there.we enjoyed the food. The whole staff were friendly. The pool was fantastic. There a lot of water sports available there were Jet ski, snorkeling, scuba diving, swimming, pool tables and a lot more. The place was close to the center of the city and tourist spots. One of the top resorts in Camiguin for your money! We were a group of 5 and we stayed at the family suite at a great deal in Agoda (around 50% off I think). The beds and pillows were amazing and so comfortable! The staff was very friendly and the service we received was top notch. We arrived at around 8am and check-in isn't until 2pm but since the rooms weren't occupied, they allowed us to check in and get settled (a first for me!). That was very nice of them and they could've stuck to their policy and didn't have to do that so I appreciated that a lot. They attended to every request we had and even held the room for us just in case we wanted to extend our stay for one more day (again, not something they had to do but did so for our convenience). We ended up not extending our stay (due to time/logistics constraints with airport travel) and received no complaint from them. Thank you for that. As soon as we checked in, we were each treated with fruit drinks and a souvenier necklace. The beds and pillows were amazing and so comfortable! I took a picture of the pillow tag so I can buy the exact same pillows, that's now comfortable it was. Shower had hot water and strong water pressure, which is always a plus. Breakfast had a great menu selection for a decent price. The entire resort was very clean with a great view of White island and is centrally located amongst all the tourist spots. Long story short, you will have a great time at Paras. I felt like I was at a 4-5 star resort while paying for 1-2 star pricing! We got the Family Room which was good for 6 adults. The first room that we got had a problem with the aircon and we were transferred immediately to another room- they offered to move our stuff but we decided to do it ourselves. The beds are really comfortable, not to mention the superb quality of their mattress, blankets and pillows. I would say those are new. The resort has been around for quite awhile but it's well-maintained. other We went for an island hopping tour and we assumed our room will not be made up because we didn't say so- some also left valuable items behind. When we got back, the room is cleaned up; with all of our things intact. We really appreciate that nothing was lost. Room service is also efficient. Food can be pre-ordered and they will call you when it's ready. Their tours are a little expensive; but the staff will suggest options if you're on a budget. Our stay was overall great. Our room was kept clean when we asked them to makeup room. Supplies were provided. I left my watch in the room but they were honest and professional enough to contact me and reurn it. The family loft was reasonably priced as well. The "hanger" outside the rooms were very useful also, where we can hang our wet swimsuits, clothes, etc. Great staff, nearest to the white island, nice rooms. Because there isn't much to see in Camiguin, the highlight of your visit would be staying at the white island for lunch or even for the whole afternoon. Best part is, Paras resort is the nearest resort to the island (approx 7mins by boat). 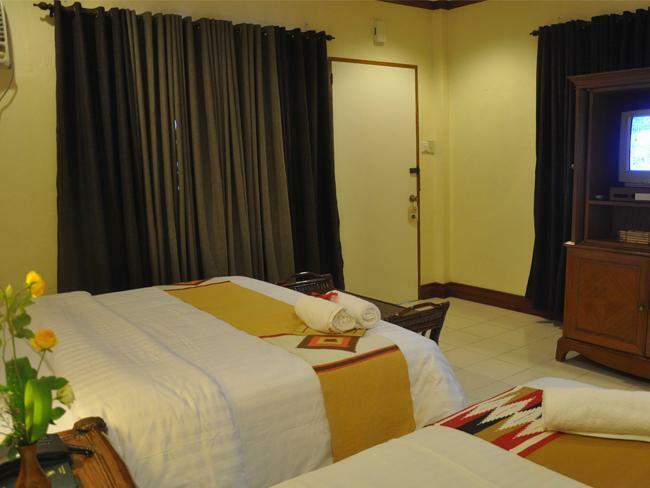 nice, clean comfortable rooms, well groomed and elegantly designed surroundings and value for money. We had a great day at Paras Beach Resort. Fast check-in, welcome drink and a souvenir necklace were things worth remembering. 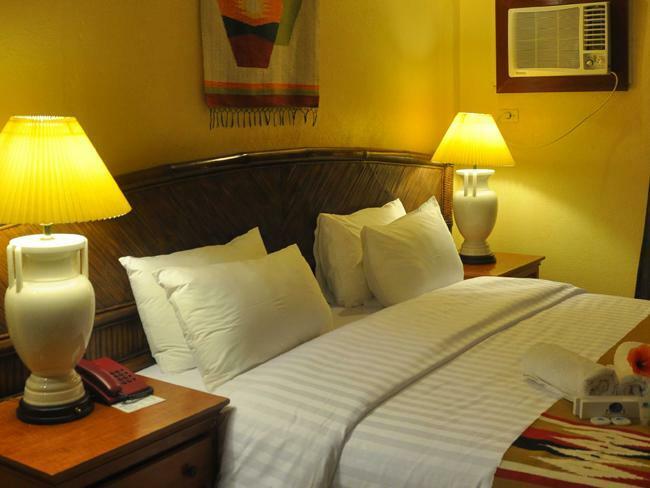 Comfortable beds, strong aircon and comfortable pillows and blankets were very helpful to have a goodnight rest after a tiring wonderful experience visiting camiguins natural tourist attractions. I consider our stay at Paras to be priceless. Me and my friends absolutely love everything about it! We never expected to have such a nice place to stay in Camiguin. The staffs are very accommodating and the view is pleasant. 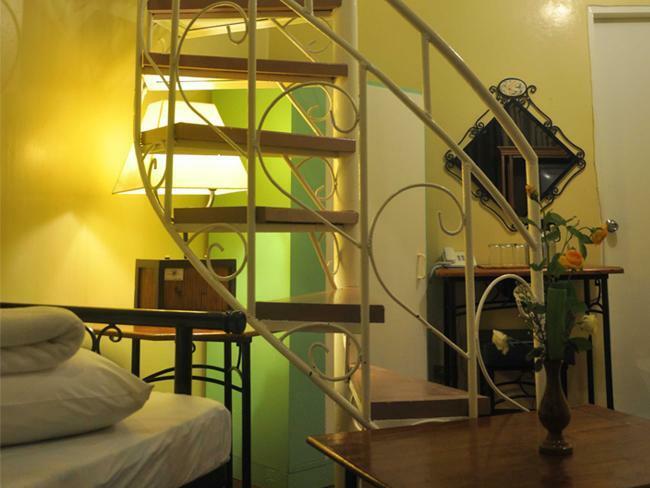 The hotel is complete with fun activities such as table tennis, billiards and videoke. What more can we ask for? If we can only extend our stay here, we will!!! Despite the very long travel from Manila, my friends and I still enjoyed the stay at Paras Beach Resort. The staff are nice enough but nothing spectacular about their service. Some of the staff though don't seem to be enjoying what they're doing. But then again, the place overshadows their service. Don't expect prompt service when ordering your food.